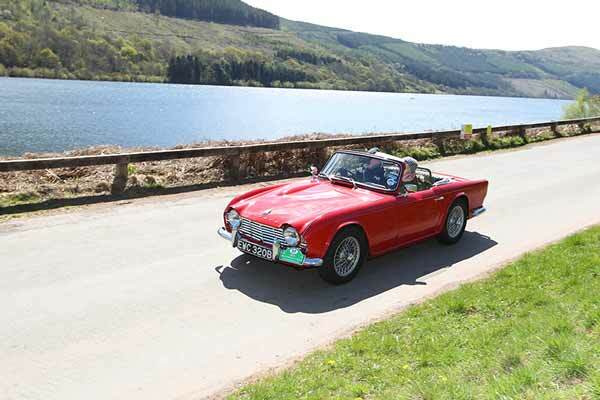 The very popular MSA Spring Classic 2016 Classic car tour will take place over the weekend of 23rd and 24th April at the Celtic Manor Resort in the Usk Valley. 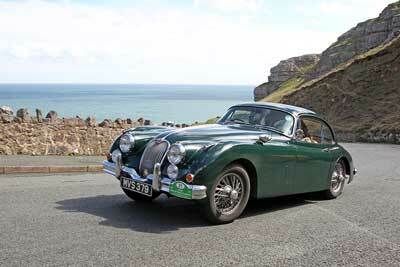 The MSA Spring Classic car tour offers just 100 places for cars that are more than 20 years old. The route takes in some of the best driving roads in the UK over the two day tour, drivers get to visit fantastic locations, guaranteeing a weekend to remember. After last year’s sell-out event, the fourth MSA Spring Classic will return next April to the luxurious Celtic Manor Resort in the picturesque Usk Valley. Owners brushed the winter cobwebs off a variety of classic machinery to enter the 2015 MSA Spring Classic. These included classics from the golden era of the British sportscar industry. Iconic marques including Alvis, Aston Martin, Austin Healey, Bentley, Daimler, Jaguar, Lotus, MG, Morgan, Sunbeam, Triumph and TVR took part. These were joined by European classics from Porsche and Mercedes, while a classic Ford Mustang and Chevrolet Corvette added a dose of American V8 thunder to proceedings. MSA Spring Classic 2016 – What’s on? Setting out from the Usk Valley, drivers will enjoy two wonderful days of traffic-free motoring through the picturesque counties of Monmouthshire, Herefordshire, Gloucestershire and Wiltshire. Saturday’s schedule includes a visit to Westons Cider Farm near Ledbury en route to a fine lunch stop at the 15th Century Hampton Court Castle. The afternoon stop at the Rolls of Monmouth Golf Club has its own special place in history. The ancestral home of the Rolls family for more than two centuries and it is where Charles Stewart Rolls spent his early years before joining forces with Henry Royce in 1904 to found the world’s most prestigious car company (Rolls-Royce history). After a sumptuous Gala Dinner at the Celtic Manor on Saturday evening, Sunday’s itinerary heads east to the Cotswold Motoring Museum in Bourton-on-the-Water. A lunch stop at the Sudbury House Hotel and Restaurant is the prelude to the weekend’s exciting climax as the cars and drivers enjoy laps around Castle Combe race circuit. The MSA Spring Classic 2016 promises to once again deliver two days of memorable classic motoring. The MSA Spring Classic 2016 promises two days of unmissable classic motoring. Those wishing to take part in the MSA Spring Classic 2016 should book now via the official organiser website (don’t delay, places are going fast).